Barbecues are one of the best seasonal traditions summer has to offer, but as a number of Canadians have discovered over the past few years, there's a slim but very real chance that a day or evening of barbecueing could become turn into a disaster. 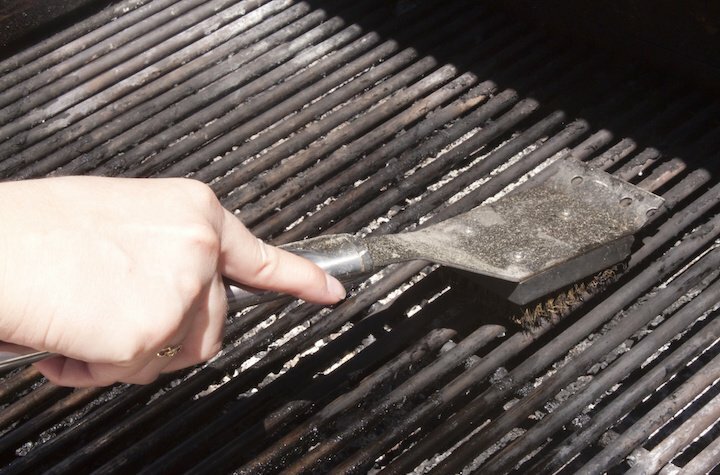 Since 2011, Health Canada has had to file nine injury reports for individuals who have been injured after ingesting wire-bristles from the brushes that are almost universally used to clean barbecues. At last, it is conducting a risk assessment that could, depending on its results, lead to the complete banning of barbecue brush sales. "Health Canada will evaluate the results of the risk assessment, as well as all other relevant information, to determine what compliance action, if any, should be undertaken," said Health Canada spokesperson Eric Morrissette. "Recall of the product is one of several possible compliance actions." Though the likelihood of a wire-bristle coming dislodged from a brush and then eventually attaching itself to food is fairly low, it is an incredibly dangerous proposition if it comes to fruition. The sharp bristles can become stuck internally inside of someone's digestive tract and require surgery to remove. Because it can be difficult to identify the issue or articulate it, experts suspect that the number of people who have suffered from this ailment is actually far higher than the nine reported by Health Canada. A study done in the United States at the University of Missouri estimated that over a 12-year period, nearly 1,700 people went to hospital emergency departments due to a wire-bristle brush cleaner that had been stuck inside of them. "Even though it's rare, it has a track record of continually occurring over these years. And so I don't think it's an isolated type of thing," said the study's lead author, David Chang.